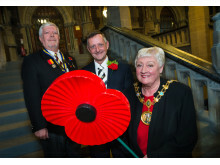 Representatives from the Royal British Legion and Rochdale Borough Council joined residents to remember the fallen. 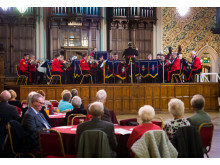 The uplifting centenary concert also featured a performance by Freda Farnworth accompanied on the piano by Edward Rigg. 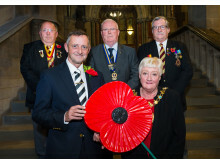 Poppies can be bought at Rochdale Town Hall, online at www.britishlegion.org.uk and from shops, supermarkets, pubs and clubs. 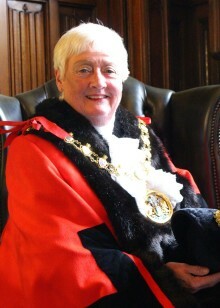 The Royal British Legion has a weekly base at Number One Riverside in Rochdale. 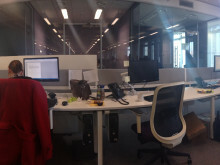 Every Thursday from 10am to 1pm their Advice and Information Officers provide face to face advice and support to serving personnel, veterans and their families. 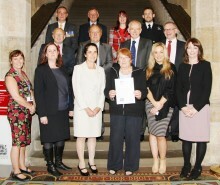 The legion can also help them access other welfare services, financial support, property matters, education, retraining, bereavement counselling and membership enquiries. 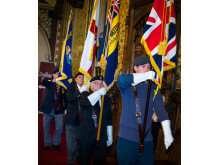 Commemorations to salute the nation’s war heroes will be held on Remembrance Sunday (9 November), with six parades across the borough. 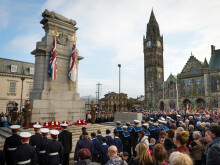 Representatives from the Navy, Army and Royal Air Force will join veterans and civic dignitaries for the parades, which will take place in Rochdale town centre, Heywood, Littleborough, Middleton, Milnrow and Wardle. 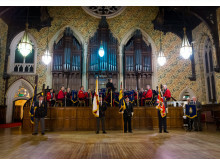 The annual Festival of Remembrance Concert at Rochdale Town Hall. 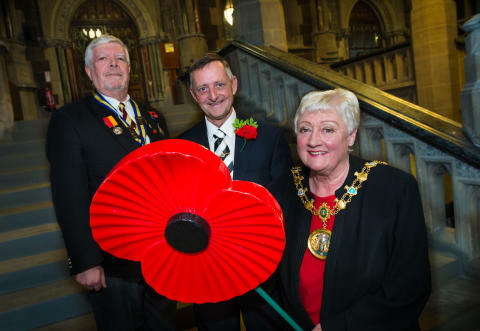 (Left to right) Tom Bailey, Chairman of Rochdale Fusiliers Association, Councillor Alan McCarthy and the Mayor Councillor Carol Wardle.